REWARD..... 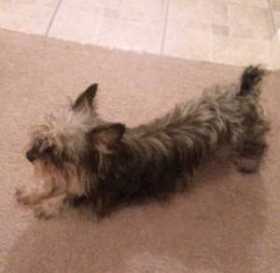 Missing a 8 yr old MALE YORKIE with short tail. Lost in the vicinity of 18th and Lubbock Street, Slaton TX. Answers to PEPPER, has blue collar, black/gray hair. Missing our baby PEPPER, please send him back home, call (806) 881-4798 / (806) 300-1888.